We prepare a customised coaching plan based on your unique profile and personal and professional goals. What types of concerns can I be coached on? What is The Winning Mum approach? Whether you are a career mum or back at work, each and every mum is wearing many different 'hats' at one time. We are parents, planners, professionals and partners. We are cleaners, cuddlers, chefs, and chauffeurs. These 'hats' take different priorities at different times, but some are always important. We each have a unique personal combination of roles and responsibilities which warrant a customised coaching approach. Together, we prepare a customised coaching plan based on your personal and professional goals and unique profile. You begin by completing a questionnaire that articulates where you are TODAY, and where you'd like to be at the end of our coaching. In other words, we begin to articulate your coaching goals. Next, we create your Winning profile: In an ideal world, which combination of 'hats' would you be wearing on any given day? Which have the most meaning and heart? Which have less? Given your coaching goals and profile, we create a week-by-week coaching plan that includes both action-based exercises (the 'Doing') and exercises that encourage self exploration and personal development (the 'Being'). 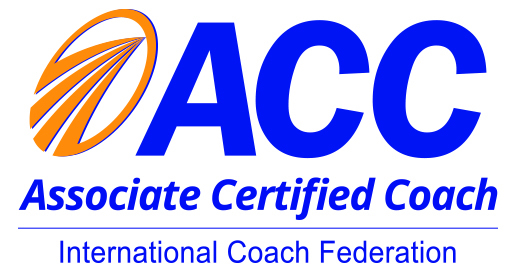 The foundation of my coaching approach comes from my training at the Coaches Training Institute ('CTI'). The CTI® coaching philosophy holds that people are naturally creative, resourceful and whole — completely capable of finding their own answers to whatever challenges they face. The job of a Co-Active Coach® is to ask powerful questions, listen and empower to elicit the skills and creativity a client already possesses, rather than instruct or advise. Traditional forms of counseling and therapy are designed to look backwards to the root of the problem occurring for a client (i.e., where is the client stuck and what were the origins of those beliefs/patterns?) With Co-Active coaching, we support our clients in moving forward in living their most fulfilled life, both inside and outside the workplace. We guide our clients in identifying the inner resources available to them that support their most resonant choices. Once the coaching relationship comes to an end, the client is a more resourceful, empowered and self-aware person.